Congratulations on finally taking your first step into my chocolate heaven. I wish you a FATastic time at our Esplanade outlet. After the BMW World at MBS, we headed to Esplanade because gh wanted to bring me to Max Brenner. Haha, I was quite shocked actually. Because gh is a health freak. 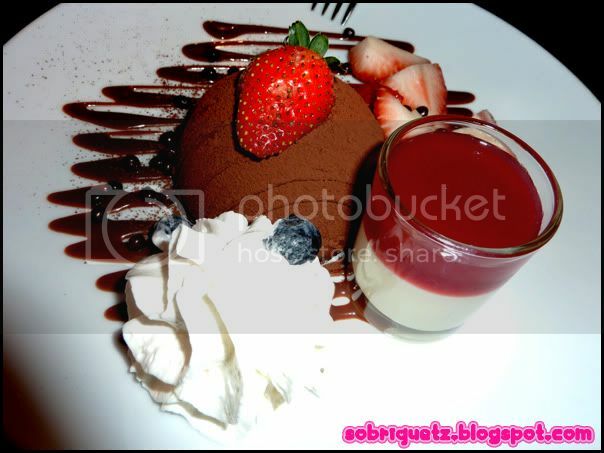 Last time when I ordered some chocolate pudding thingie, I had to finish most of it by myself! He just took a few bites and that's it. Haiz. 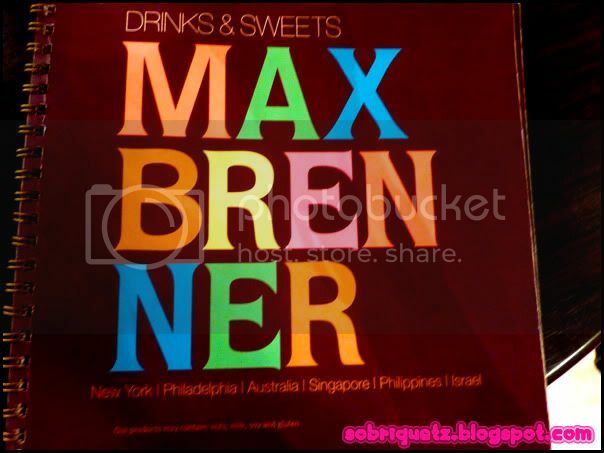 I have always wanted to go Max Brenner because of all the raving reviews about how good their chocolate is. And I have seen it alot on ladyironchef's blog. Problem was, I couldn't remember what he had ordered! When I flip through the menu, nothing looked like what he ordered. So I just anyhow order some truffle to share with gh. 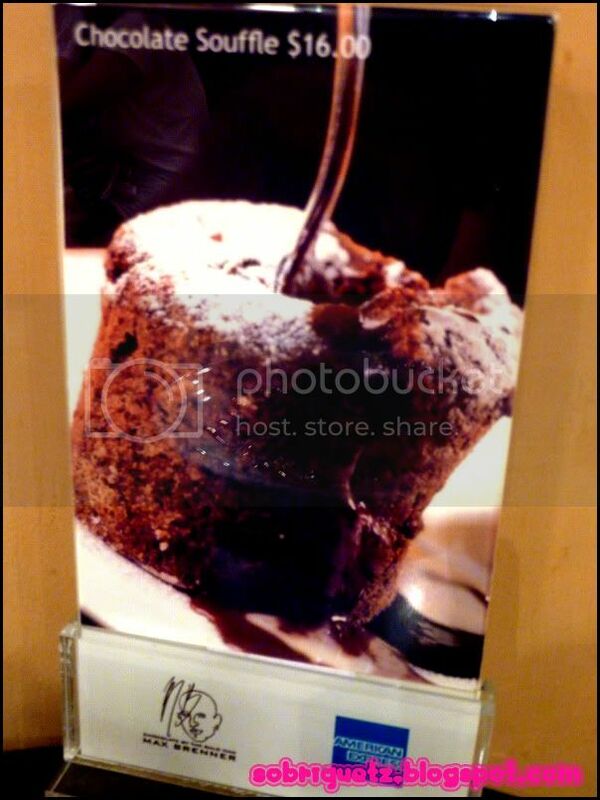 And after we ordered, gh showed me a placecard on the table, where the back shows the Chocolate Soufle. I only saw the front, didn't think i need to flip to the back. Noooooooooo! I desperately wanted to change order, but to no avail. Because they have started doing up my truffle :( mad upset, but never mind. The truffle looks good too! However, I think I had overly high hopes for it. It was good quality chocolate, but it wasn't WOW. And I think I am really too low class - I have no idea what to do with the vanilla sauce! Should I pour it over the chocolate? Or dip it? Or eat it separately? MaxBrenner is not fantastic. I tot qt waste money. their hot chocolate = waste money. Coffee bean hot choc nicer. i forgot what i ate also but not wow-ed by it!